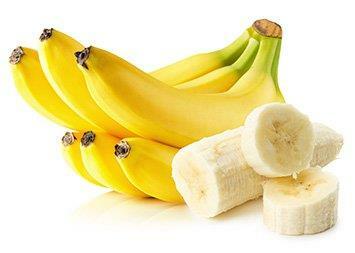 A recent scientific study adds a new element to the already long list of benefits of bananas. The study conducted by a department of Appalachian State University has just been published in the scientific journal PLOS ONE. The study focused on comparing banana, sweet drink and water consumption post-exercise metabolic recovery. The results showed that banana carbohydrates act as a "sporty" drink to fuel athletes and help them in recovery. In addition, banana metabolites mimic the ability of ibuprofen (the # 1 drug taken by athletes) to reduce pain and inflammation and help the immune system function effectively during a metabolically stressful time such as intense exercise. "Now athletes know that there is a natural alternative - bananas and water," said David Nieman, director of the Human Performance Laboratory at Appalachian State University. "Consuming bananas with water during exercise has several benefits for athletes and fitness enthusiasts, and benefits far superior to those associated with regular "sports"drinks, including an anti-inflammatory effect, better nutrition, and better metabolic recovery, which makes bananas close to be the perfect sports food. " The study confirmed that ingestion of carbohydrates from bananas boosted performance while contributing to faster recovery by reducing markers of post-exercise inflammation.